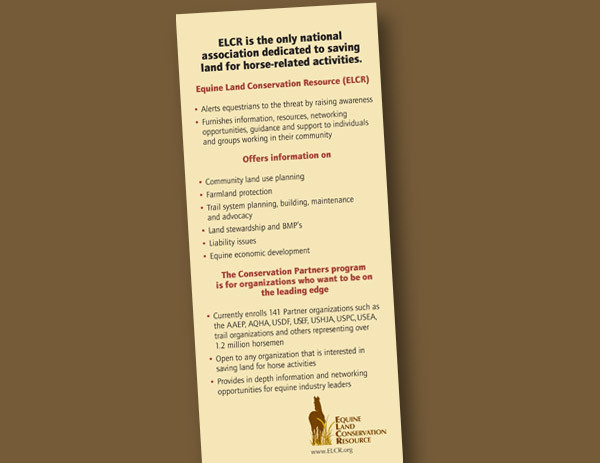 Equine Land Conservation Resource’s mission is to save land for horse-related activities. 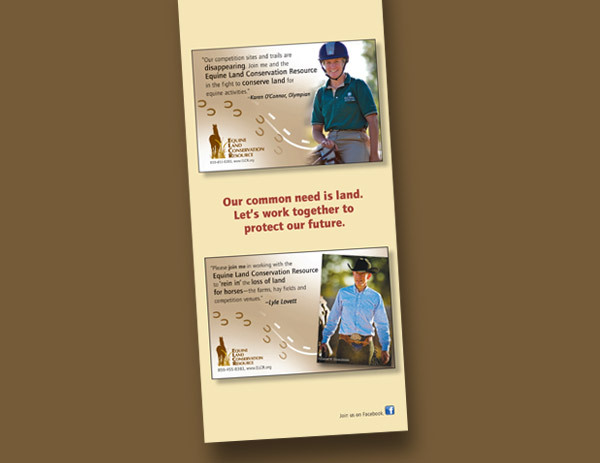 They approached the Arion Group for help with marketing their message to horse enthusiasts and potential supporters. 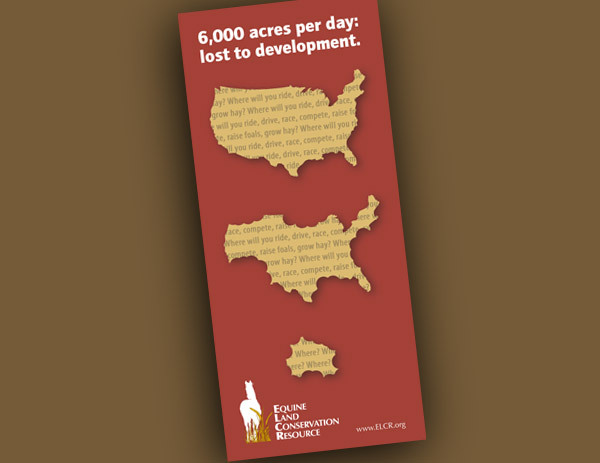 The brochure we created was to educate potential supporters about the issue of land loss and what can be done to preserve it. 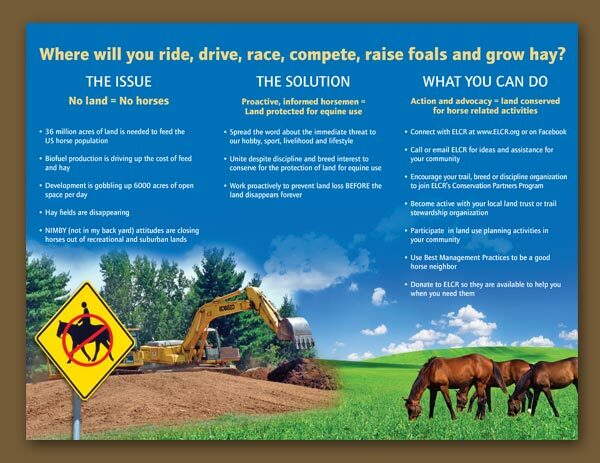 The inside of the brochure clearly presents the issue, the solution, and steps an individual can take to make a difference. 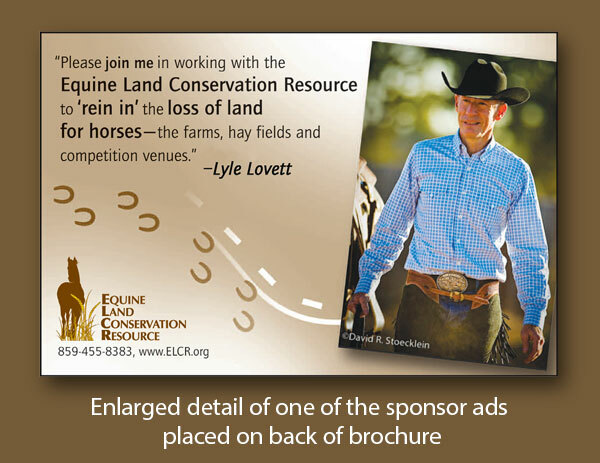 The brochure was handed out at trade shows and educational events. It was also mailed with a personal letter to potential supporters. 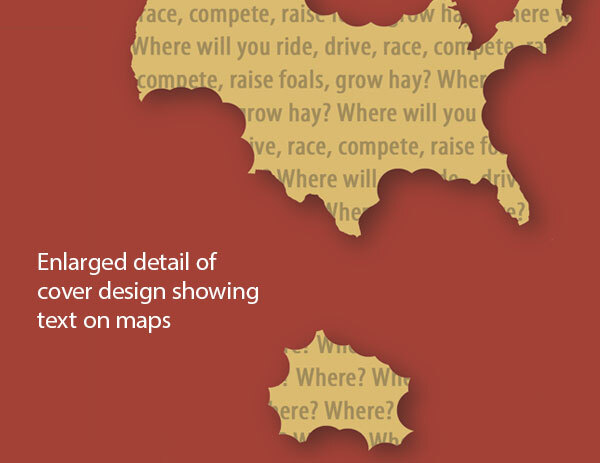 Do you need help with marketing your message? Contact the Arion Group today.